jiandao massacre | May We Speak? Like the Nazi soldiers in Germany’s concentration camps, Japan’s imperialist forces were notorious for their civilian massacres and frequently targeted Korean citizens in both Japan and Japanese-controlled territories. The most well known incidents are the Jeamri Massacre, Gando (Jiandao) Massacre, and the Great Kanto Earthquake Massacre. The March 1st movement, a non-violent Korean resistance against Japan’s forceful colonization, was the root cause of the Jeamri Massacre and the Gando Massacre. Even after the Japanese government mobilized its army and forcibly quelled the movement, they massacred citizens in several towns as revenge on Korea’s resistance. In Jeamri, Hwasung City of Gyeonggi province, about 30 citizens were forced to enter the local church and were shot by the Japanese army. In order to remove all traces of the massacre, the soldiers burned down the church and killed those who narrowly survived on the first attack. Despite the Japanese army’s effort to destroy all evidence, foreign missionary Dr. Frank W. Schofield witnessed the massacre and published reports exposing its brutality. The United States press caught wind, and the news of the massacre spread in the United States. 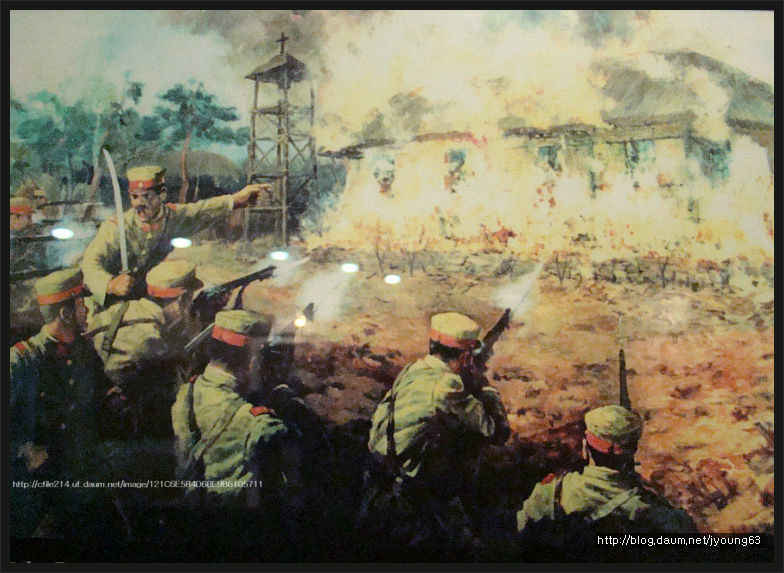 The Gando Massacre was also an indirect result of the March 1st movement. Emboldened by the efforts in Korea, Koreans living in the Gando area of Manchuria began to resist the local Japanese forces. As revenge, the Japanese military massacred all civilians residing in Korean villages in Manchuria over a four-month period. They burned down all villages, plundered properties, and murdered everyone in their paths. Though the exact number is unknown, it is estimated that millions were killed during those four months. Another famous mass murder by the Japanese imperialists is the Great Kanto Earthquake Massacre. On September 1st, 1923, an earthquake with magnitude of 7.9 struck the Kanto area of Japan, which killed about 140,000 people in that area. Afterwards, the Japanese government spread the rumor that the disaster was deliberately caused by Korean residents – that the earthquake was a means for Koreans to revolt against Japan. Both Japanese soldiers and Japanese civilians, angered by the earthquake, sought revenge against the Koreans; more than 6,000 Korean citizens were murdered in the Kanto area.